The DC march was just one of 600 internationally. The one March that caught my attention and admiration was the March at 30,000 feet above the Pacific Ocean by Andrew Wright (kudos to Cathy Pacific for letting him march up and down the plane – luckily he wasn’t flying United …). Protesting cuts in Government science funding. Protesting the dissemination of lies or “alternative” facts by the White House, i.e. advocates for truth. 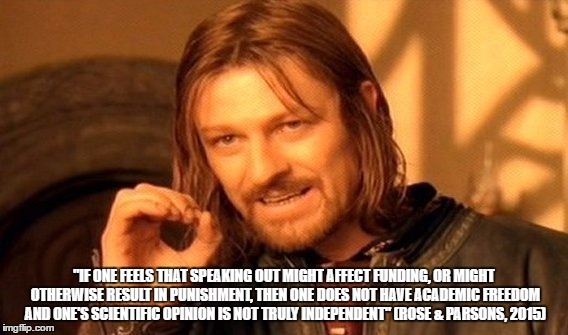 Advocating for academic freedom, particularly for government agencies, in this era of muzzling of scientists. Advocates for science-based policy making. As a scientist, you are often told that science should remain apolitical, that scientists should stay in the Ivory Tower. 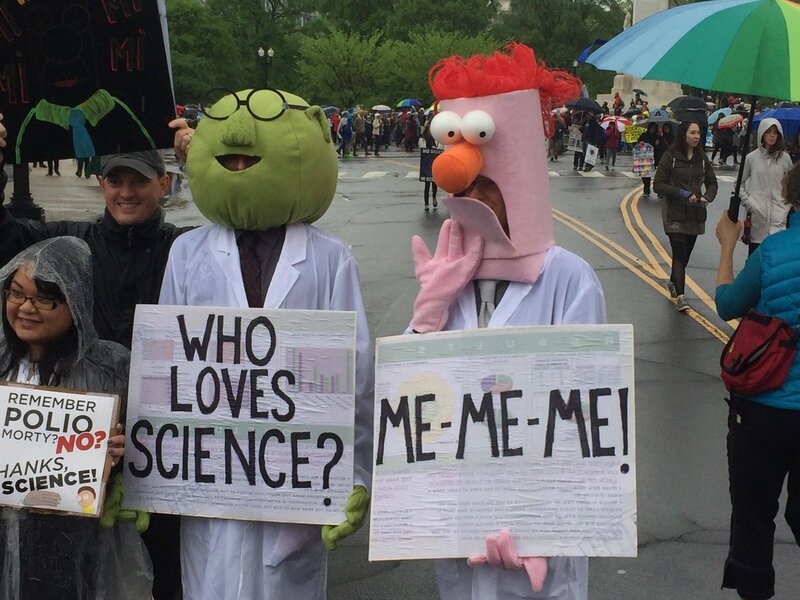 however, a substantial of the speeches and signs at the march were calling on scientists to become more engaged with policy making, or even to stand for political positions. This will, I think be one of the major impacts of the march. Scientists who were on the shelf about getting more engaged with policy will be pushed firmly off that edge, as the March showed that are not lonely oddity for thinking that way in academia, but they are part of a large community of scientist colleagues and peers who believe the same. Now NGOs need to make the most of this and reach out to scientists who want to become more engaged, and to help them to do so. One of my favourite signs at the March. Another big impact of the march was, let’s face it, the plethora of signs. The fact that scientists had released their most creative urges to think up a host of well though out and, especially, funny signs really resonated with the media and the public. Anger and doom and gloom makes people switch off, but make your message funny and people: (a) are more likely to remember it; and (b) associate that message with feeling good. The signs also showed the public that scientists are not removed, cold, clueless or boring elitists (as they are often portrayed by politicians and the media), but witty, passionate and probably someone you’d like to hang out with. 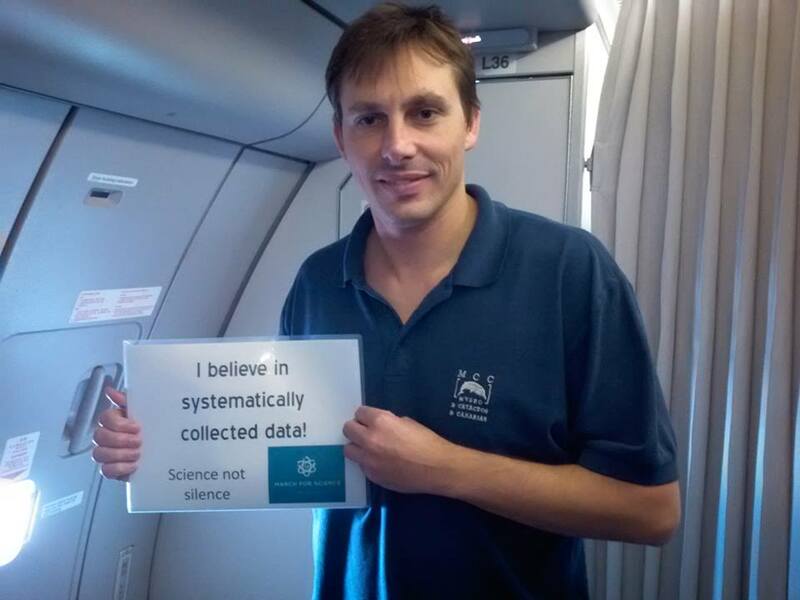 The signs help to humanize the scientific community, and increase the public’s respect for it. For so many reasons, the Marches for Science were a huge success. The key issue now is to capitalize on that success, for NGOs and like minded policy makers to engage with these enthused scientists, and to bring back science-based policy to the White House. The separation between scientists and the policy is largely a new thing. In the 50s, 60s and 70s lobbyists for the chemical and tobacco industry tried to create the myth that a scientist who steps out of the Ivory Tower to engage in policy is a bad scientist. This myth took hold. But we have to debunk this myth, and debunk it hard. Let’s not forget that George Washington mentioned the importance of science in his first Congressional session (and was an active advocate for vaccination). That Jefferson and Franklin actively practiced, and were passionate about, science. Franklin was a Fellow of the Royal Society for heaven’s sake! The progress of science is literally written into the US Constitution (Article I, Section 8, Clause 8). One cannot help but think, that if they were alive today, Franklin, Jefferson, Adams,Washington and many of the other Founders of America would be cheering on the Marchers and waving their own poignant signs. Thanks for writing this. Great reminders about our founding fathers’ involvement in and support of science!